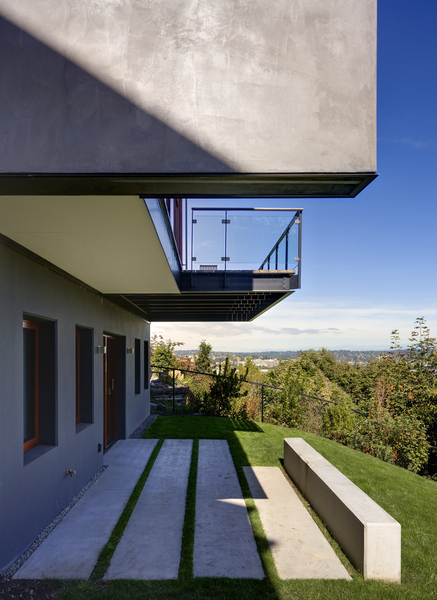 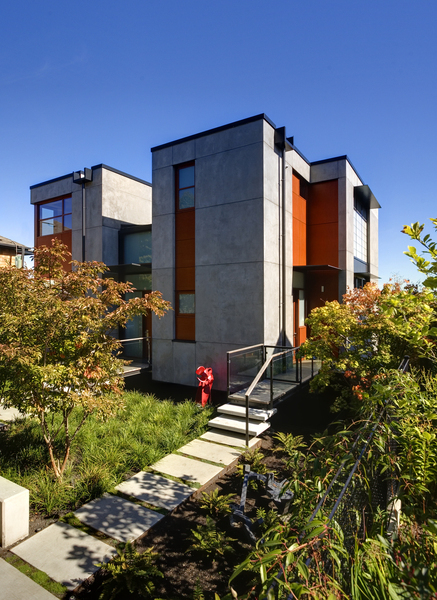 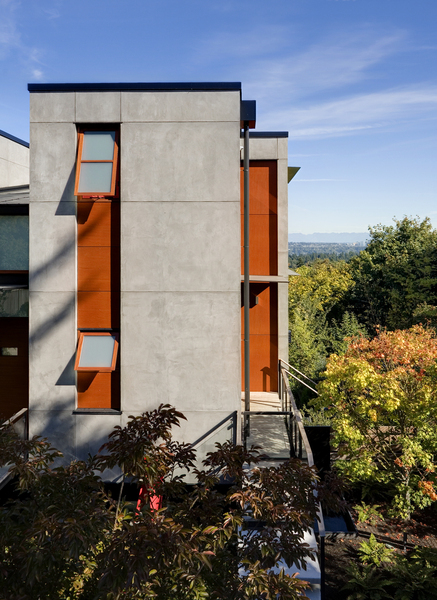 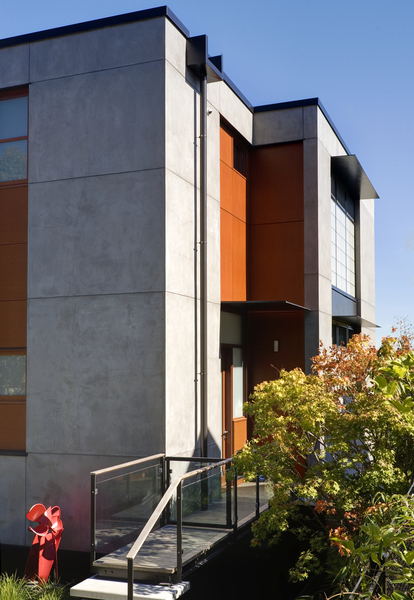 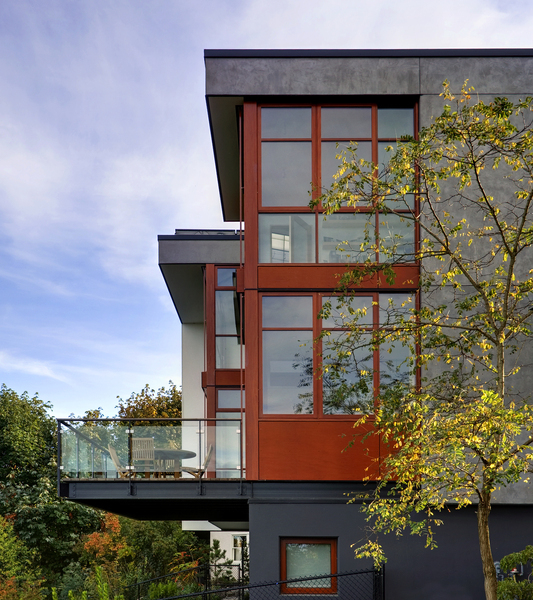 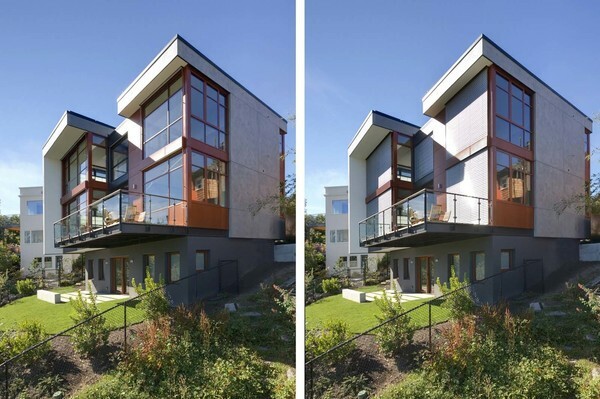 With a compact form and several integrated sustainable systems, the Capitol Hill Residence achieves the client's goals to maximize the site's views and resources while responding to its micro-climate. 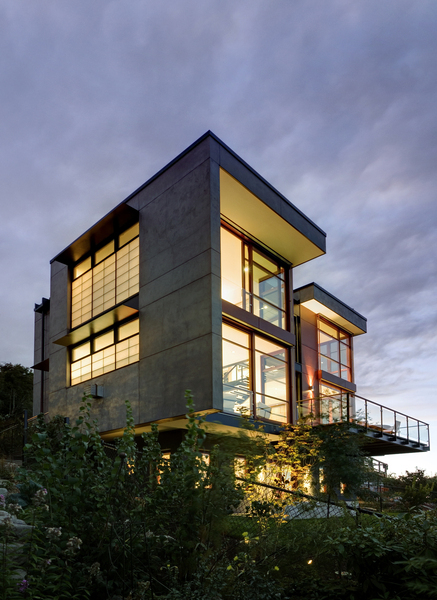 Some of the sustainable systems are architectural in nature. 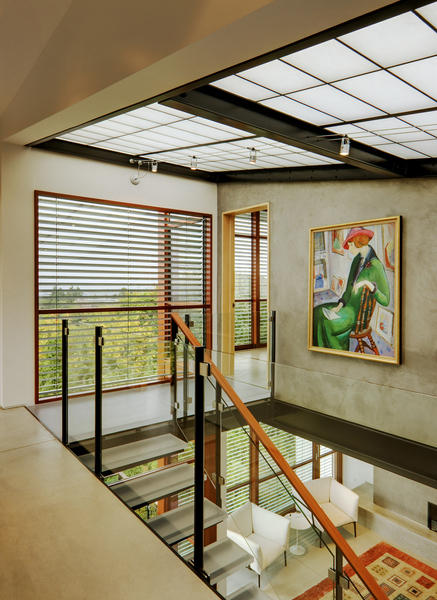 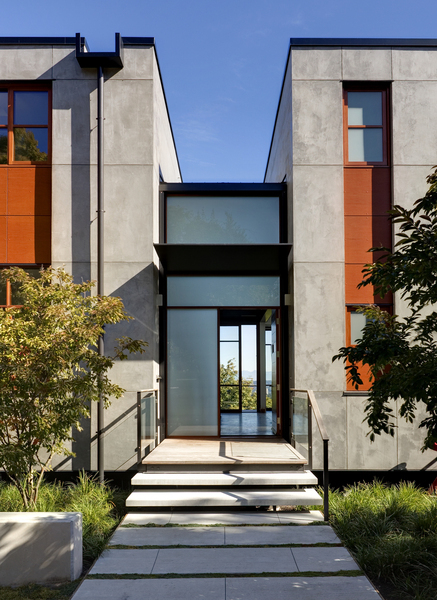 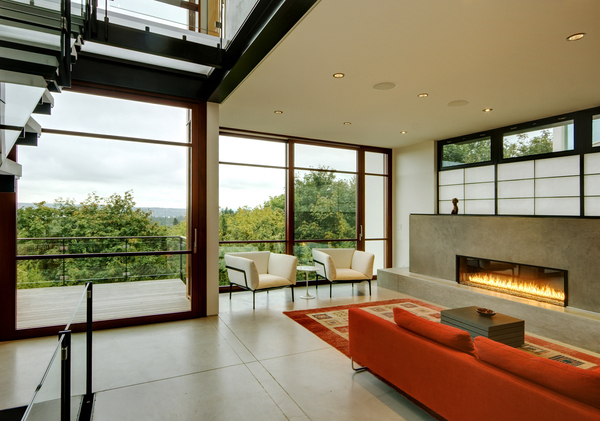 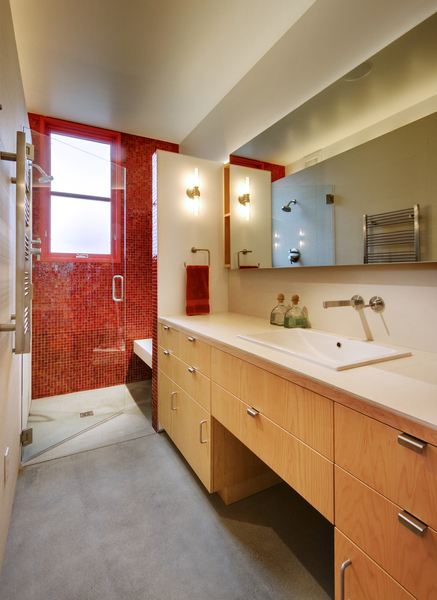 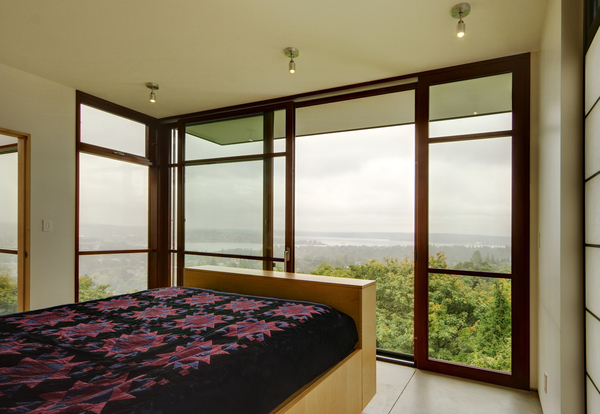 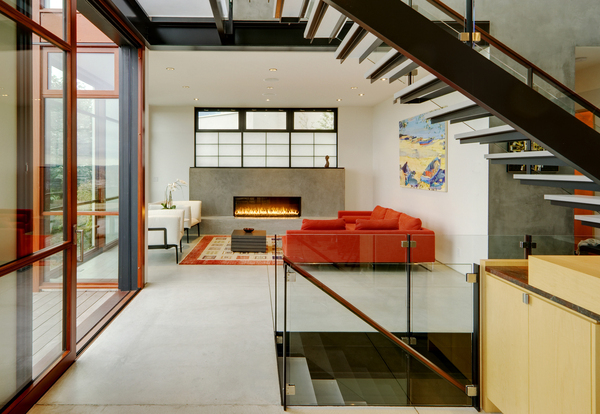 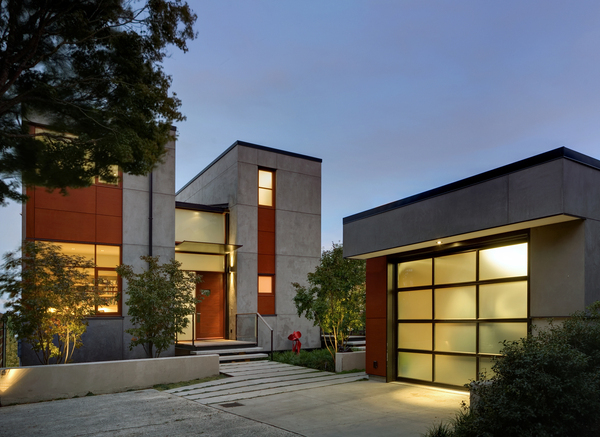 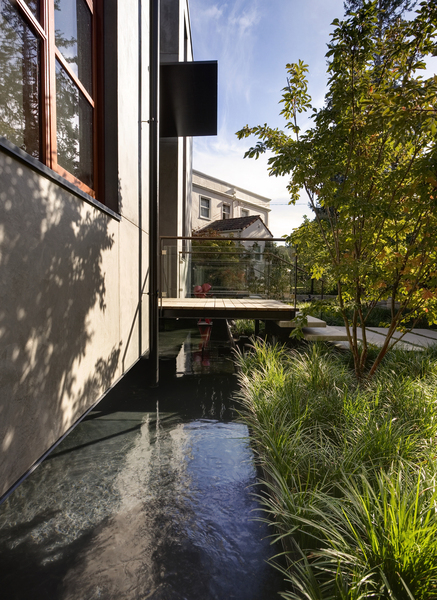 For example, the roof rainwater collects into a steel entry water feature, daylight from a typically overcast Seattle sky penetrates deep into the house through a central translucent slot, and exterior mounted mechanical shades prevent excessive heat gain without sacrificing the view. 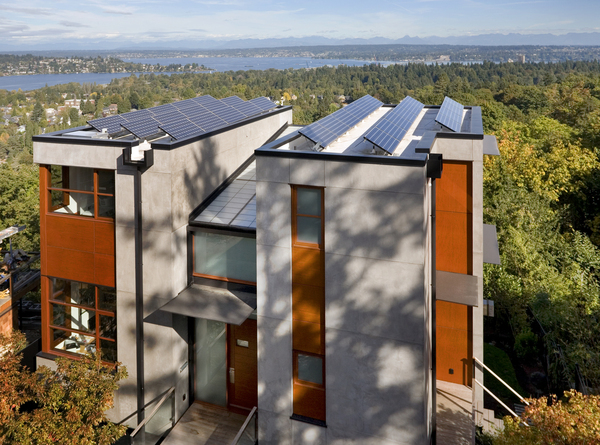 Hidden systems affect the energy consumption of the house, such as the buried geothermal wells and heat pumps that aid in both heating and cooling, and a 30 panel photovoltaic system mounted on the roof feeds electricity back to the grid. 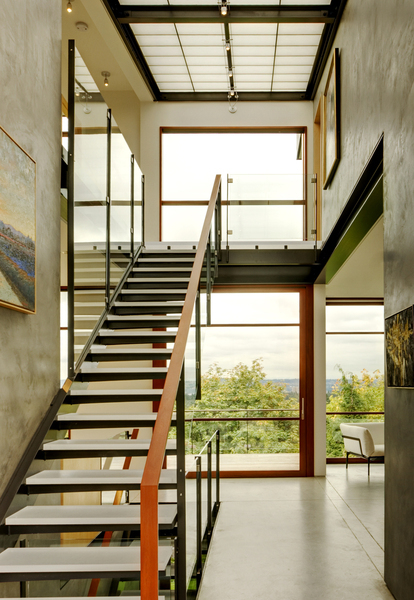 The house is divided by a sloped translucent ceiling that contains the main circulation space and stair, allowing daylight deep into the core. 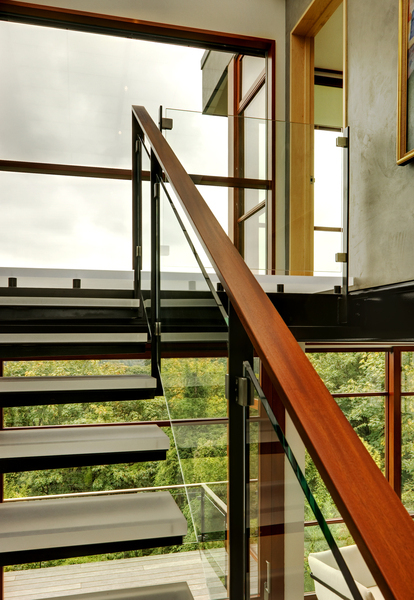 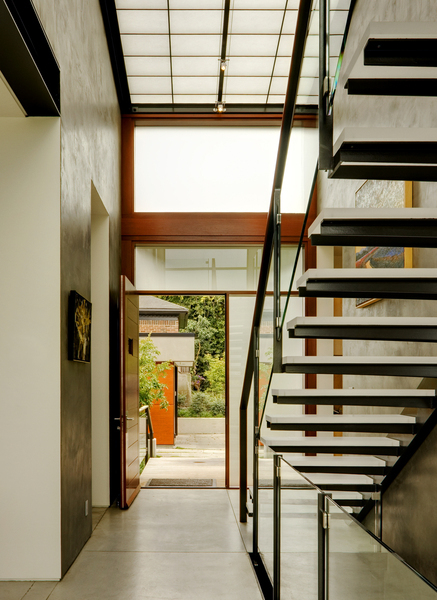 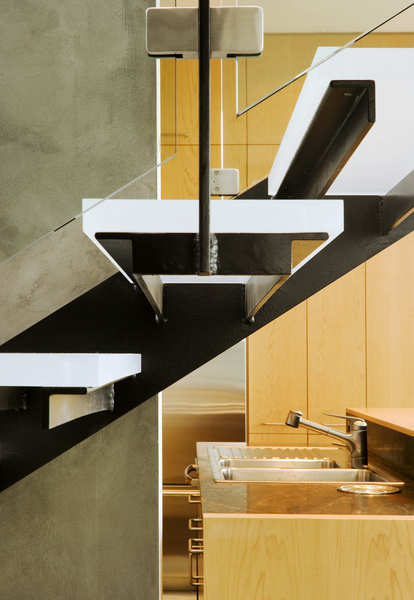 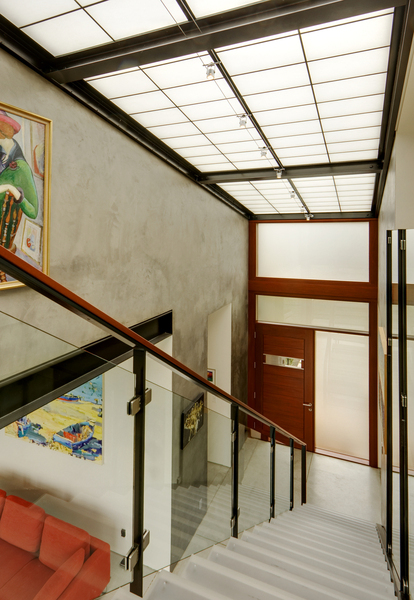 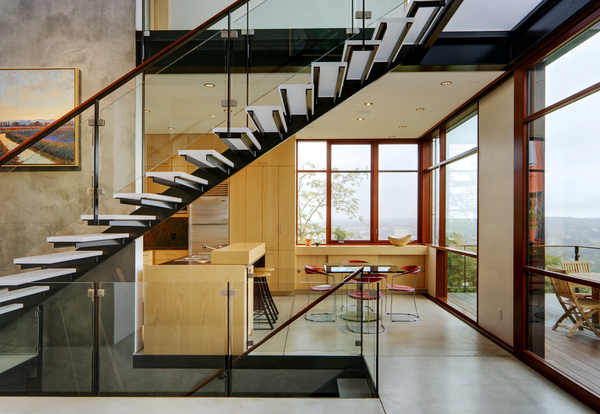 Acrylic cantilevered treads with glazed guards and railings keep the visual appearance of the stair light and airy, allowing the living and dining spaces to flow together.